Kala was taken from her mother as a tiny cub to be put to work in a circus in Peru. Authorities stepped in and, with nowhere else to take her, Kala was given to a local zoo. 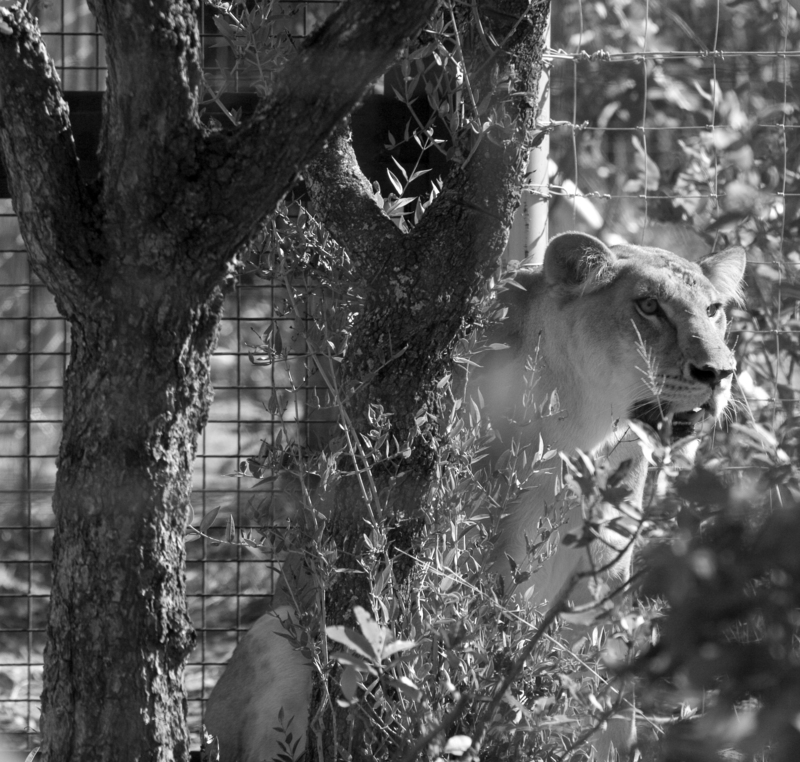 She was attacked by another lion, losing most of her tail, and was as a result quarantined. 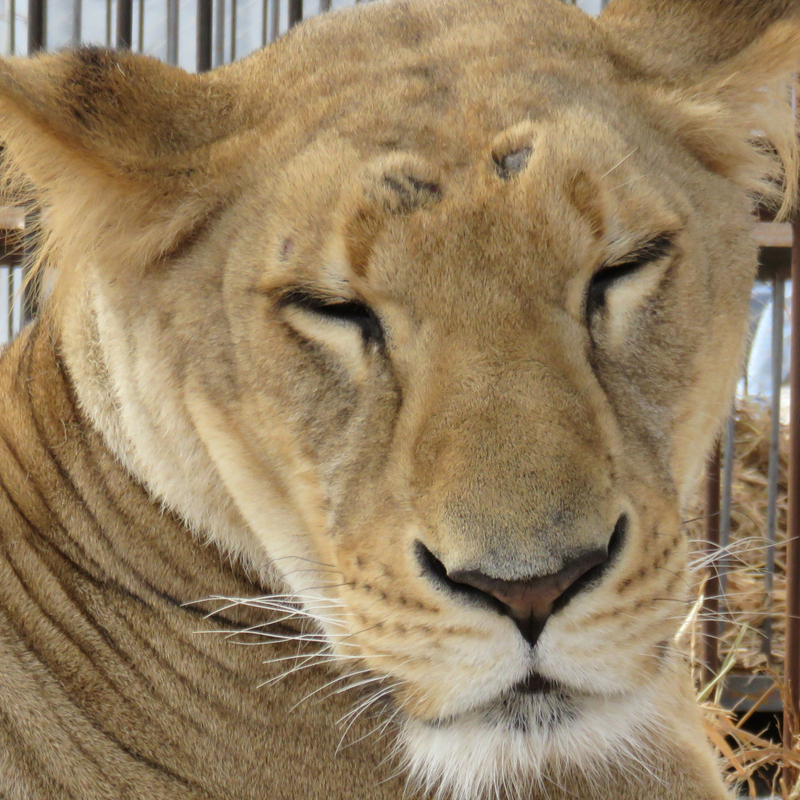 Kala was taken into ADI’s care and spent 20 months of her life in freedom, part of which she spent at Emoya Big Cat Sanctuary. Kala and Rapunzel succumbed to a botulism toxin and passed away on 4 June 2016.